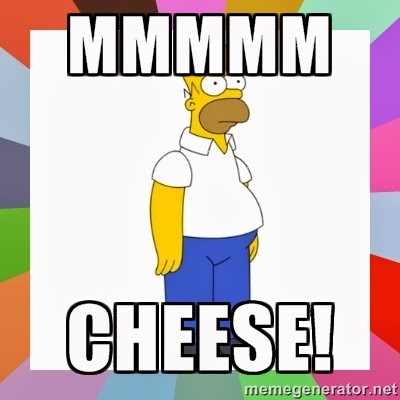 There are two things I almost always have in my fridge - salsa and cheese. I'm not sure why - well, actually, I guess I do know why - because salsa and cheese are awesome. Especially cheese. But I digress. Anyway, I had chicken and was trying to figure out what I could do to make it delicious. I did my typical fact finding mission by looking through the fridge to see what was in there for me to use. It was hard to miss the gallon of salsa verde (green salsa) and 5 pound bag of shredded Mexican cheese. I figured it taste great on chicken tacos, so why not just bake with them? 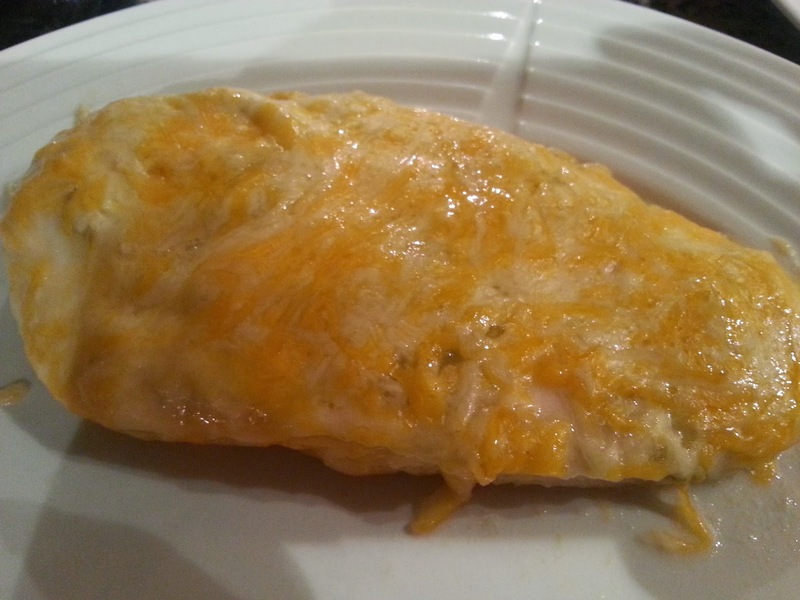 It was super easy and ended up tasting great. As mentioned previously, I used salsa verde and Mexican cheese, but you can use any salsa/cheese combination (I'll definitely be experimenting with these). Go nuts. And enjoy another super easy, why-didn't-I-think-of-that? dinner! Cut fat off of the chicken. Combine chicken with salsa in a large zip locking bag. Shake until chicken is completely covered. Let sit in fridge for 30-45 minutes (or longer). Preheat oven to 350. 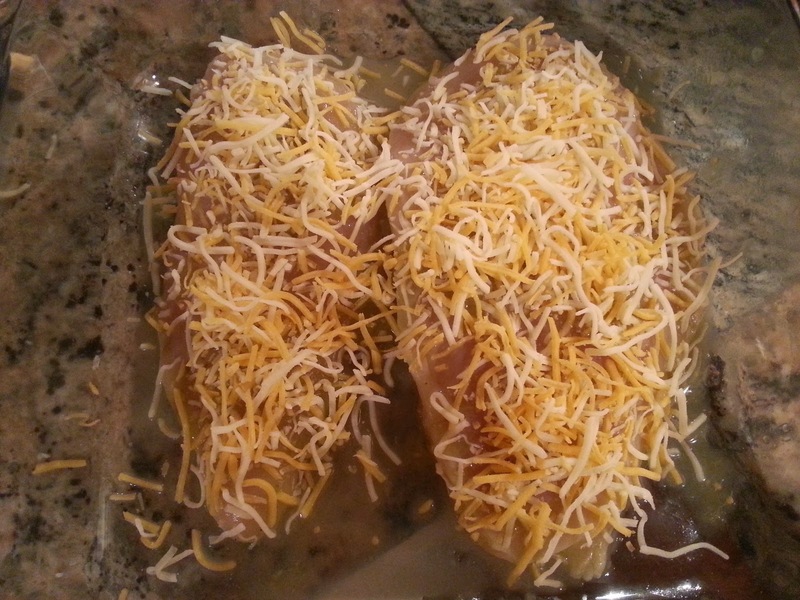 Place chicken in a glass dish and sprinkle cheese on top. Bake for 20-40 minutes, depending on size of chicken.